The brushless technology gives you the extra power, torque and runtime you need to bring any project to life. The drill packs 52Nm of powerful torque and up to 1650Rpm, so you've got the power to get the job done. The High-performance hammer action with 28,050BPM, powers through masonry and concrete drilling. Built-in LED light to illuminate the working area; Max. Drilling Capacity (wood): 25.0 mm Max. Drilling Capacity (steel) : 10 mm Max. Drilling Capacity (masonry): 10.0 mm. 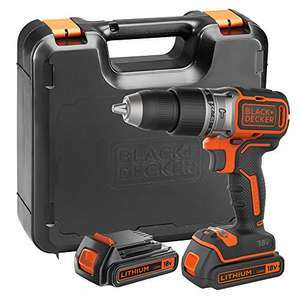 Part of the BLACK+DECKER 18V lithium-ion family. One battery system, endless possibilities. Hi. I have no clue on these items. 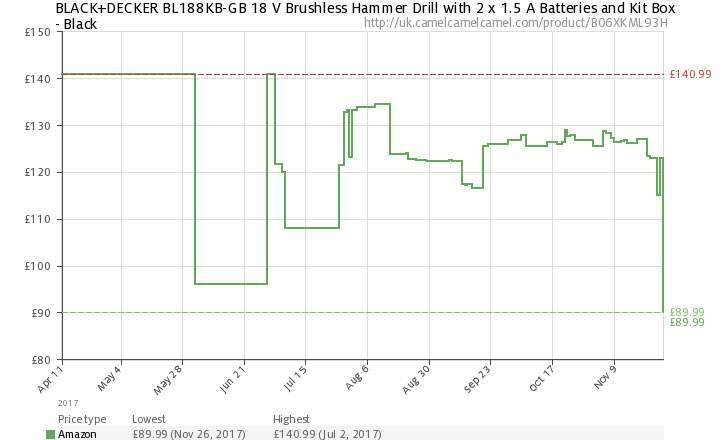 I just post deals when I find something has been reduced. DEWALT. These are only same as B&D inside the yellow case.